Last year, while still living in Las Vegas I participated in the inaugural World Book Night. 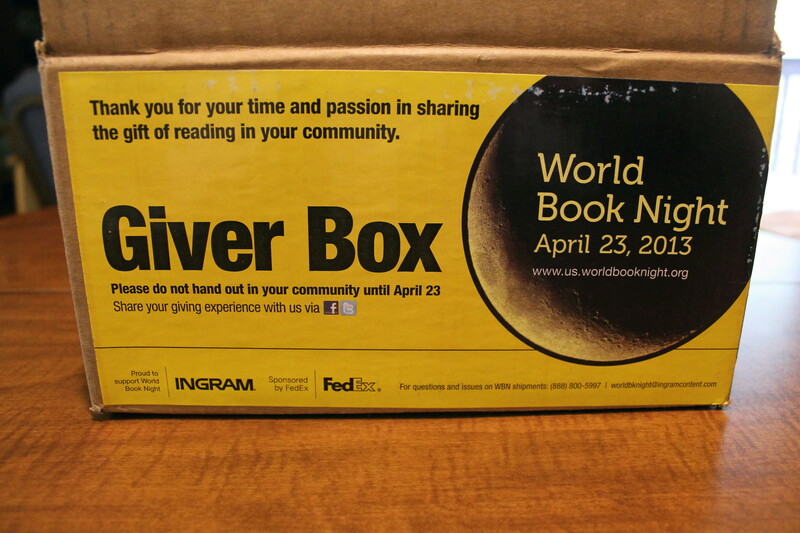 The mission of World Book Night is “spreading the love of reading, person to person.” This event takes place on April 23rd — the anniversary of both the birth and death of Shakespeare. This year, an estimated 25,000 volunteers will freely give a half-million paperback books to light and non-readers in their communities. There will also be 28 official World Book Night-affiliated events throughout the country next week, including author appearances and events where roses will be given out along with books to make recipients feel extra special. As an old-school reader (I have never jumped on the e-book bandwagon), I really like the fact that tangible, paperback books are given out, because there is just something magical about shutting down your computer and curling up with a good book. My husband picked up my giver box today. Any suggestions on where I should hand out books? This year, World Book Night volunteers had 30 different books to choose from, including 2 titles that are also available in Spanish. With a line-up of award-winning and best-selling novels such as Fahrenheit 451, The Alchemist, The Language of Flowers and Salvage the Bones to choose from, it was difficult for me to decide which book I wanted to give out this year. 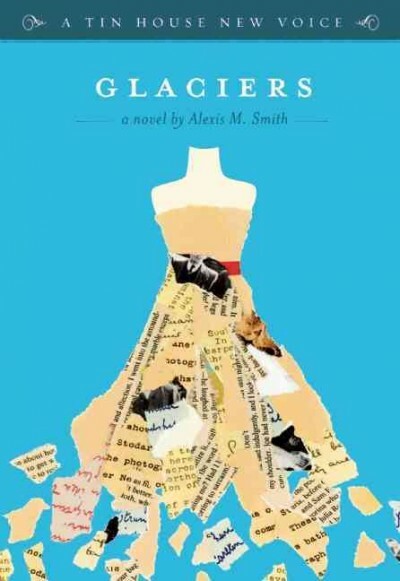 Finally I decided on Glaciers by Alexis M. Smith because it was written by a Portland author, published by a Portland-based small press and is largely set in Portland, and I am on a major “support local initiatives” kick lately. At only 174 pages, Glaciers can be read in just a few hours. At the center of this character-driven story is 20s-something Isabel, a book preservationist and thrift store enthusiast. Throughout her life, Isabel has collected old postcards and other remnants of strangers’ pasts, imagining what stories lie behind them. Although a potential office love affair and plans to attend a party form a partial plot, the book is largely anecdotal, which is the beauty of it. Isabel’s memories had me reflecting on the own stories I attach to objects, and the ability of photographs to create history (like Isabel, I have collected postcards for years). If the reviews on Goodreads are any indication, many readers will find pieces of themselves in Isabel’s character. 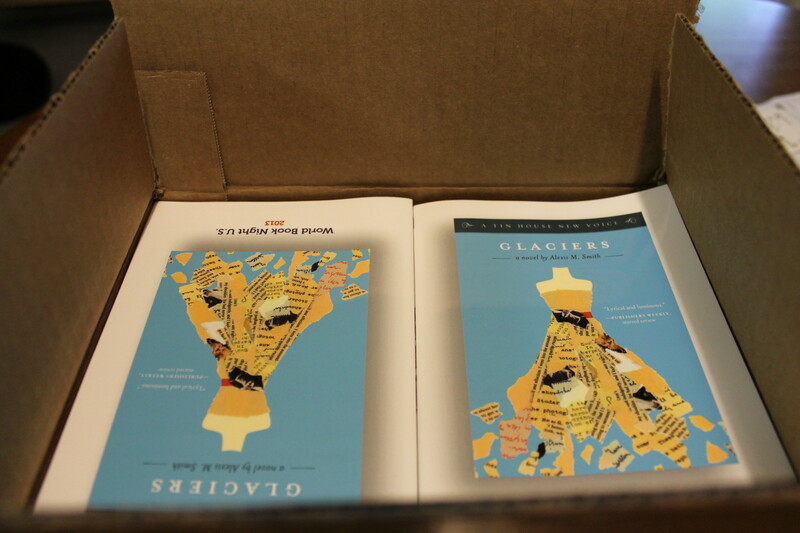 In the spirit of World Book Night, I will be giving away a copy each of Glaciers to two blog readers. To enter, leave a comment below about anything of your choosing by 12 noon PST on Tuesday, April 23, 2013. I will choose the winners at random and notify the winners both via e-mail and as an addendum to this post on World Book Night itself. Winners will have 5 days to respond to e-mail notification to claim prize before an alternate winner is chosen. Giveaway is open to US residents only. Addendum: This giveaway is now closed. Congrats to Candice, moxiegirlproductions and A.M.B!! Enjoy your books!! This entry was posted in Movie Reviews/Book Reviews, Oregon and tagged book reviews, fiction, giveaway, Portland, World Book Night. Bookmark the permalink. I’m glad you’re participating in this again, Becky, and that you’ve selected a book by a local author. Sounds like a terrific read! I’d love to read Glaciers, which has a lovely cover. Thanks for the giveaway!